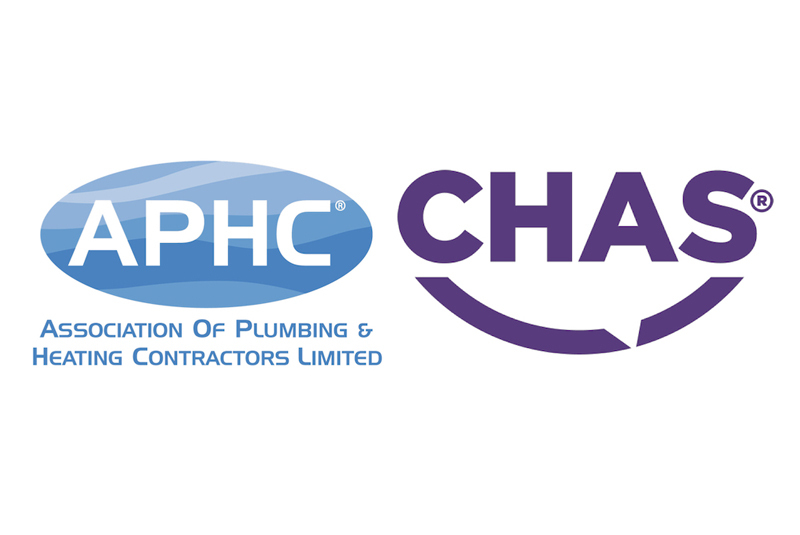 The Contractors Health and Safety Assessment Scheme (CHAS) and the Association of Plumbing & Heating Contractors (APHC) have announced a partnership which will see APHC members receive an annual discount on their CHAS accreditation. The purpose of the certification is to assist suppliers and buyers in the process of health and safety competence assessment. For suppliers, being certified demonstrates to buyers that they are compliant and competent with health and safety legislation and are able to work to a nationally recognised standard. It can also remove the need to complete lengthy health and safety forms with many different buyers. APHC CEO, John Thompson, commented: “I’m delighted to add another service to our portfolio of APHC member benefits. The partnership with CHAS not only means that APHC members receive an annual discount of 20%, but it will assist our members to add value and grow their businesses as many buyers require suppliers to be CHAS accredited before allowing them to tender. This means having CHAS accreditation can help our members to win more new business, especially with larger corporate clients. In addition to this, going through the CHAS accreditation can help improve a member’s approach and management towards health and safety. And the good news for APHC members is that we can support them in achieving CHAS accreditation via our health and safety technical support telephone helpline, guidance documents and templates which can be used to help develop a complete health and safety management system.